Great beginning to a terrific series! 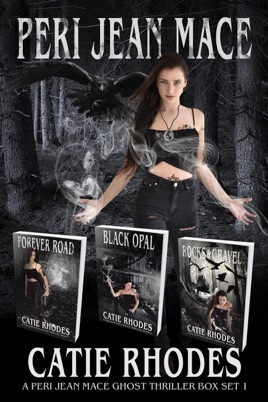 then these books aren’t for you because Catie Rhodes’s settings, language, dialogue, descriptions, and characters are achingly authentic and hauntingly, beautifully raw. I stumbled upon Catie Rhodes while doing some research of my own, and I'm glad I did. The first book in her Peri Jean Mace series was an absolute page-turner. Growing up in the same area as the author, I was delighted by the setting of the story and the East Texas references and sayings peppered throughout the book. Her characters are likable and real, the dialogue was natural, unforced, and true to the region, and the tale itself was masterfully woven so that, although I had an inkling, I didn't figure out the mystery before it was revealed. Stories told from first person aren't even my favorite, but Ms. Rhodes made being in Peri Jean Mace's head a pleasure. This book was great from start to finish, with a nice, professional-looking cover, spot-on editing, and terrific writing. I'm definitely a fan and will be purchasing the next books in the series. 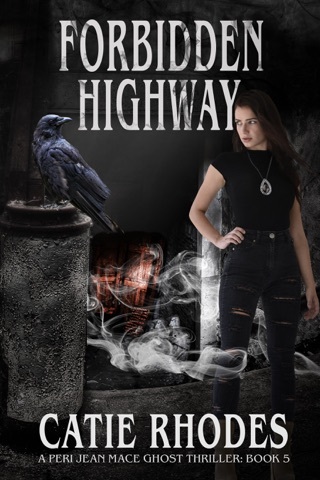 The gritty yet lovable Peri Jean Mace is back in this second installment of Catie Rhodes's Peri Jean Mace Ghost Thrillers series—but this time, her ability’s gone hi-def. In this fast-paced, well-contrived story, our favorite East Texas "sixth senser” is back and thrust into a whole new mystery revolving around her love interest’s family. 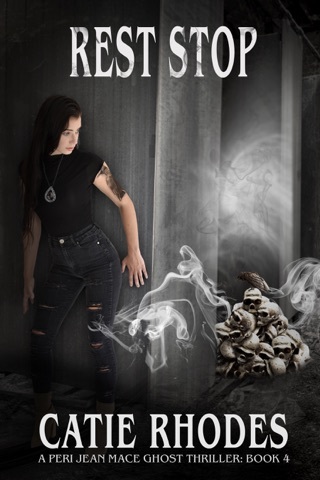 A curse more than a gift, her power to detect the dead is "in stereo" thanks to a talisman from the past, forcing Peri Jean to put aside the fear and shame associated with her ability and use it to solve a decades-old murder. 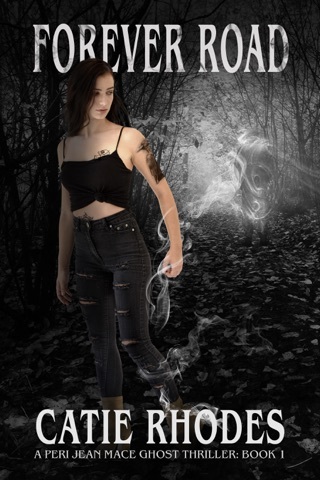 In classic Peri Jean style, she does what she can to help, following clues left by the dead, while dealing with her own real-life issues: the failing health of a beloved family member, a new boyfriend, his ex. I love that throughout it all, the author makes certain that Peri Jean stays true to herself no matter where she is or what she’s doing or who she’s around. I know this is terrible, but I kind of hope she never stops smoking. I became a huge fan of Peri in the first book of this series, and I was relieved to find her unchanged in this book. I do wish that the story had been longer, the mystery less straightforward (this one I actually did figure out before it was revealed), but those were my only druthers. I finished this book in record time because I couldn’t put it down. As I’ve come to expect from Ms. Rhodes, this tale was well-edited, realistic (even in its fiction), and just a fun, entertaining read. Get ready for a nail-biting, jaw-clenching, side-splitting, gut-wrenching good time that you won't be able to put down! Amid the heat, humidity, and bugs of east Texas, Peri Jean Mace wrestles her own demons—and some new ones—in this third installment of the series. 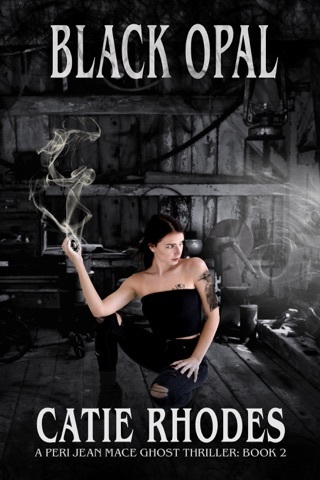 With the help of a powerful black opal, Peri bounces back and forth between supporting her boyfriend’s campaign and being forced to reach out to the spirit world to solve a burglary and murder. As the entire fate of Gas Light City hangs in the balance, Peri is forced to unweave the mystery surrounding her family's cursed legacy, the Mace Treasure. But the dangers that the dark forces guarding the treasure threaten are nothing compared the people hunting it. The author once again expresses herself in fresh, fun ways that are true to the setting and make this sliver of the East Texas piney woods seem like the most interesting place on earth. Which is a feat, let me tell you.